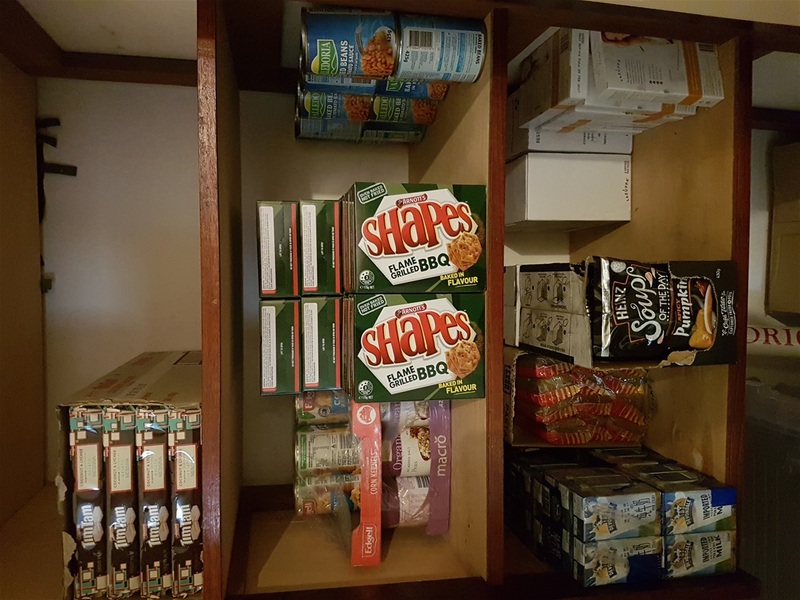 Moora Parish has recently opened an account with Food Bank to purchase food for distribution in Moora, to those in need of it. This compliments the breakfast club run by St Josephs. Food is available, but limited to dry foods as we have no refrigerator as yet. Please contact Fr Chris (0439 604 459) if you need assistance. Our mission is to love and serve our brothers and sisters like Christ loved and served his neighbor. This includes catering to a person’s most basic needs, insofar as it is possible, but not limited to food, a safe environment, and a place of belonging. Our objective is to provide those necessities to show God’s love. Upon this foundation faith in God’s goodness and love may be built. Foodbank reports that each year, 15% of the Australian population are hit by hard times and find themselves unable to get the food they need. This is called food insecurity, and many reach out for food relief in these dire moments. No one’s story is the same – it strikes pensioners, families, and children, the employed and the jobless, the city and the country. Some might have suffered illness or abuse, copped a big bill, lost an income, a home, or a loved one – but all of them are going through a rough patch where food comes second. Even more alarmingly, according to the 2017 Foodbank Hunger Repor, 65,000 Australians who need food relief are turned away each month as there simply isn’t enough food to go around. It’s hard to imagine this happening in our privileged country – but it’s impossible to ignore.